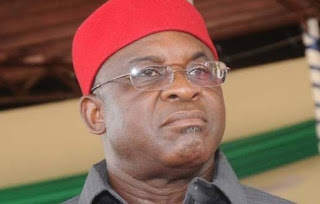 Former President of the Senate, Mr David Mark , has advised the Independent National Electoral Commission to avoid declaring elections inconclusive. “The exercise is unhealthy for both politicians and the electorate; it brings disillusionment to both parties, ” he said. According to him , the concept of inconclusive election is strange and unknown even to the Constitution. “If the declaration of inconclusive elections is allowed to stay , it will rather encourage some politicians not to present themselves to the electorate but wait to disrupt elections so that it will be declared inconclusive. “I advise people to go into elections devoid of violence . If you win through the proper will of the electorate , you will earn their respect. “Politicians should strive to ensure that they win elections through free, fair and credible means, ” he said. Meanwhile , collation of results in the state ’ s supplementary governorship poll is ongoing in most polling units. The supplementary poll was conducted in 22 out of the 23 Local Government Areas of the state. The poll was generally peaceful across the state, however, complaints of vote buying by party agents could not be substantiated.